Nike Softball Camps offers locations nationwide for players ages 6-18 of all ability levels and is pleased to announce there will be two camps in San Diego, one at San Diego City College and one at University of San Diego, for the 2012 Nike Softball Camp schedule. Directing the NIKE Softball Camps in San Diego is long time Nike Softball Camp instructor and Head Softball Coach at San Diego City College, LeeAnn Taylor. 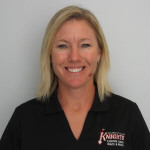 Entering her 8th season as the Head Softball Coach at San Diego City College and entering her 15th in the 2012 season at the collegiate level, LeeAnn was named "Pacific Coast Conference Coach of the Year" in both 2006 and 2007 after leading her team to the 2007 Conference Championship. At camp, Taylor covers the mechanics of fielding, hitting, and the mental side to game-time situations. Players, Coaches, Parents and others interested in the 2012 Nike Softball Camps can visit http://www.ussportscamps.com/softball or phone 1-800-NIKE-CAMP.